i have recently been thinking of rescaping my tanks so i have been looking at alot pics of other tanks. everyone seems to have sand instead of crushed coral. i have crushed coral and i am almost tempted to switch to sand because it looks so much better. my tank has been set up for around a year and a half and i am in the process of changing from a fish only to a reef. what are the plus and minus' with sand? i am also having trouble keeping my ph @ 8.3. could this be the crushed coral? does it not buffer as well as sand? Crushed coral being a larger granular size allows organic material to settle and decay within your substrate requiring more effort to keep clean. Sand does not have this problem and also has the added benefit of providing an area for anaerobic bacteria to colonize if the sandbed is deep enough. I would recommend hands down using sand if you are switching to a reef tank. Decaying organic material, or detrious, can contribute to a low PH due to the carbonic acid produced but there are likely other factors as well causing your PH to be difficult to maintain at the appropriate level. should i take out all my crushed coral and add sand? or just a little at a time? i currently have a yellow tang, pigmy angel, and a damsel in the 29gal. would they be okay during the switch or should i relocate them? i currently run a can. filter, berlin skimmer, and 3x turbo twist uv. i have about 15-20 lbs of live rock in the tank. would this mess up my bacterial colony by changing substrate? You will not likely have any problems changing out all of your crushed coral for sand at once. Make sure to have some water ready for a 10-20% water change at the same time. Relocating your fish sould not be necessary, just try to stress them as little as possible. 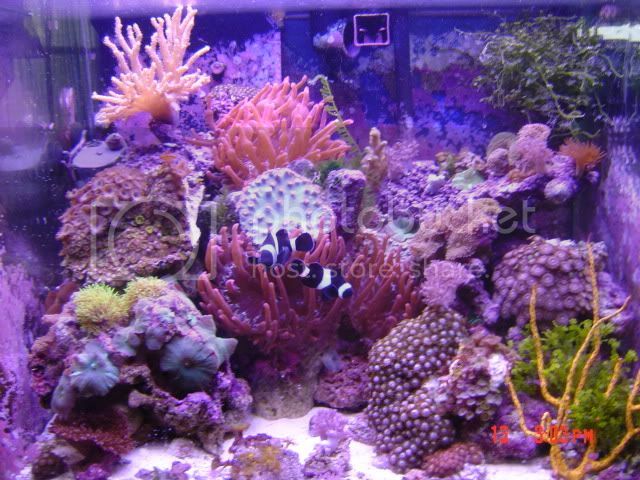 If you plan on converting to a reef tank then I would recommend not using the canister filter as this will promote the growth of aerobic bacteria which will increase your nitrates over time. I've been a DSB reefer since the early 80, DSB's are great never had a problem you just have to make sure you have a good clean up crew, stay away from sand sifters like diamond gobies and sifting starfish. a DSB is part of your bio filtration and if not maintain properly can become head aches over time. will share an old picture of my 37 cube with a DSB. Now I'm strickly Bare bottom and will never look back.